*1964 г. родился в Новгородской области. 1984 г. закончил Ярославское художественное училище. 1992 г. закончил Ленинградский институт живописи, скульптуры и архитектуры им. И.Е.Репина, факультет живописи, мастерская н.х. СССР Моисеенко Е.Е. и н.х. РСФСР П.Т.Фомина. 1996 г. член союза художников России. 2013 г. член творческого союза жудожников России и международной федерации художников секция-живопись. С 1992 г. живёт и работает в Рыбинске. С 1989 г. участник областных и республиканских выставок. * Работы художника находятся в Рыбинском историко-художественном музее, музее города Молога, у Губернатора Ярославской области,в государственной думе ФС РФ, в АО «Московит», всобственности НПО «Сатурн» (ОАО Рыбинские моторы), в собрании журнала "Русская галерея ХХI век",частных собраниях Москвы, Рыбинска, Санкт-Петербурга, Ярославля, а так-же в Германии, США, Финляндии, Швеции, Голландии, Англии, Македонии. 2013 A member of the creative union artists Russia and the international federation of artists section - painting. * His Works is kept in Rybinsk”Art Museum, Mologa memorial Museum, by Chairman Yaroslavl”region, by joint-stock company(JSC)”Moskovit”, by property (JSC)”Rybinsk motors”(NPO)”Saturn”, In assembly of magazine " Russian gallery XXI century ",private(individual) assemblies of Moscow, Rybinsk, Saint-Petersburg, Yaroslavl, and as in Germany, USA, Finland, Sweden, Holland, England, Macedonia. The bibliography: 1. « Alexander Shevelyov painting. » The Album - catalogue, "Stratim" 48 pages, 1000 copies, Rybinsk 2006. 2.Ostwind. Kunst & Integration, das Magazin , ISSN 1867-0296, 56 Page, 3000 copies. 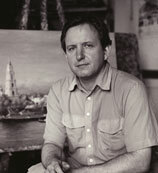 Richard Verlag. Nurnberg, June 2009 3. « New city » - magazine, « Art - historical reconstruction of Rybinsk in Alexander Shevelyova's products. », publishing house " Mediarost " 104 pages, 3000 copy, April - May, Rybinsk 2011. 4. «International Contemporary Artist» Vol IV,is published by ICA Publishing, 360 Page, 6000 copies. ISBN 9786188000704, ISBN 978-960-93-3380-1, publishing EU, May 2012. 5. « Russian gallery XXI century », magazine ISSN 2075-0986, « the Pacification and harmony » artist Alexander Shevelyov. © the Publishing house "Panorama" Moscow, 67 pages 3000 copy, 3. 2012 6. «International Contemporary Artist» Vol V, is published by ICA Publishing, 348 Page, 6000 copies. ISBN 9786188000711, publishing EU, November 2012. 7. Rybinsk - eight favourite routes. The album - guidebook the .Autor Olga Hrobostova.320 page. .3000 copy .ISBN 978-5-906070-01-2 © Joint-Stock Company Art-holding « Mediarost. », 2012. 8. « International Contemporary Artist » Vol VI, is published by ICA Publishing, 406 Page, 6000 copies. ISBN 9786188000728, May 2013. 9. ARS LONGA (album) - M.: Publishing house " Gaidmark ", 2013.-432 pages. : silt. ISBN 978-5-905009-08-3 circulation: 1000 copies. 10. Traditions of the Yaroslavl edge(territory). A national calendar./ A.A.Maslova. J.V.Maslov - Rybinsk. Mediarost.2013 108 Page. : Illustrations. - (Library of Yaroslavl family ISBN 978-5-906070-11-1, ISBN 978-5-906070-14-2 (Vol.3) 7000 copies. 11. The Yaroslavl character. / J.E.Smirnov. E.A.Ermolin. Under V.V.Goroshnikova.-'s general(common) edition Rybinsk. Mediarost. 2013 - 108 Page. : Illustrations.-(Library of the Yaroslavl family: ISBN 978-5-906070-11-1, ISBN 978-5-906070-15-9 (Vol.4) 7000 copies. 12. Saturn 2013. Events and people. - Rybinsk, 2013. - 272 pages. 1000 copies. Open Society « Rybinsk house of a seal » © Open Society « NPО Saturn » 13. « International Contemporary Artist » Vol VI, is published by ICA Publishing, 406 Page, 6000 copies. ISBN 9786188000728, May 2013. 14. ARS LONGA (album) - M.: Publishing house " Gaidmark ", 2013.-432 pages. : silt. ISBN 978-5-905009-08-3 circulation: 1000 copies. 15. Traditions of the Yaroslavl edge(territory). A national calendar./ A.A.Maslova. J.V.Maslov - Rybinsk. Mediarost.2013 108 Page. : Illustrations. - (Library of Yaroslavl family ISBN 978-5-906070-11-1, ISBN 978-5-906070-14-2 (Vol.3) 7000 copies. 16. The Yaroslavl character. / J.E.Smirnov. E.A.Ermolin. Under V.V.Goroshnikova.-'s general(common) edition Rybinsk. Mediarost. 2013 - 108 Page. : Illustrations.-(Library of the Yaroslavl family: ISBN 978-5-906070-11-1, ISBN 978-5-906070-15-9 (Vol.4) 7000 copies. 17. Saturn 2013. Events and people. - Rybinsk, 2013. - 272 pages. 1000 copies. Open Society « Rybinsk house of a seal » © Open Society « NPО Saturn » 18. « Art of Russia », 13 Annual catalogue - directory ISBN 978-5-91966-011-8 © Publishing house "M- Сканрус "., The International art fund 2014., Open Company « Balto print »., Logotipas Company circulation of 5000 copies. 19. Magazine « Russian history » № 1 (28) 2014 ISSN 2072-9103 order 15543 . Romanticism a city landscape. © ANО « Magazine Russian history » 125 pages. 5000 of copies. 20.« Art of Russia », 14 Annual catalogue - directory ISBN 978-5-91340-021-5 © Publishing house "Tvorchestvo "., The International art fund 2015., Open Company « Balto print »., Logotipas Company circulation of 5000 copies. 21. Rybinsk branch Union Artist of Russia, the album - catalogue. 2014 ,1000 copies.